Chairman of the Board of Directors and CEO of the Central Cooperative Bank, Chairman of the Board of Directors of the Commercial Banks Association. Graduated the Higher Institute of Finance and Economics in Svishtov; M. Sc. 1991 - 1992: Worked in the BNB branch in Kyustendil. 1993 – 1995: Worked in the “Finance” Department in the District People’s Council, Kyustendil. 1975 – 1993: Lecturer in the University of National and World Economy, Sofia. 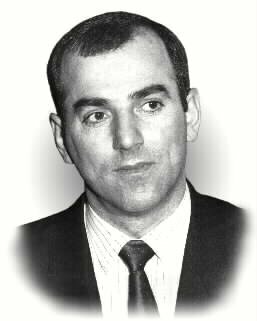 1991 - 1992: Head of “Taxes” Central Administration in the Ministry of Finance, expert in the Committee of Budget and Finance in the 36th National Assembly. 1993 - 1994: Minister of Finance.